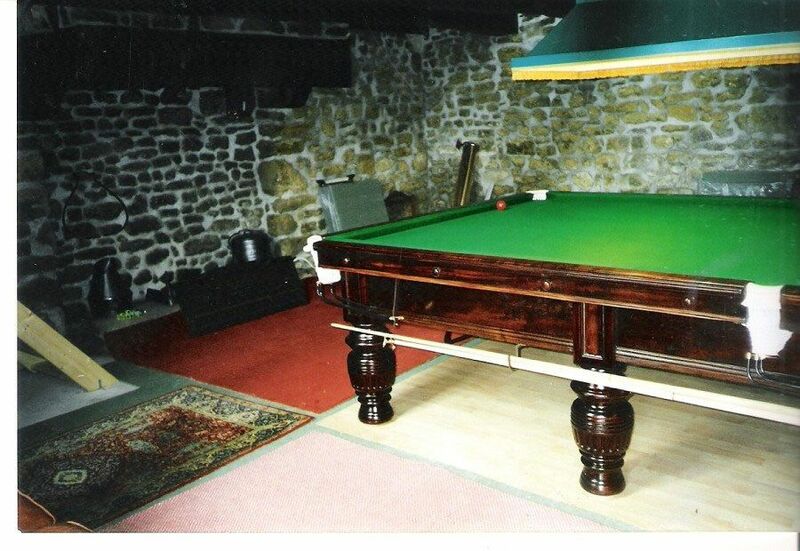 With nearly 200 years, as one of the top names in the industry, John Bennett Billiards Ltd has a long established reputation, as one of the finest table makers. 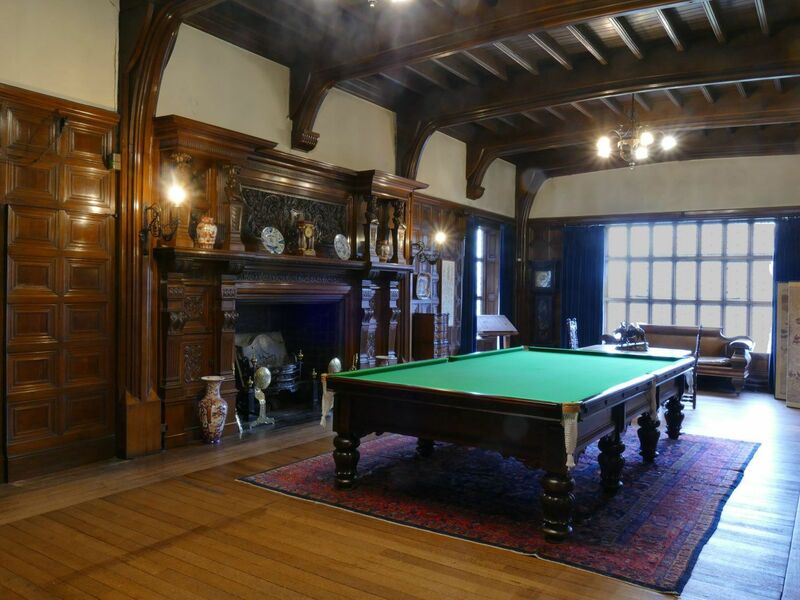 Many of their tables are still in daily use, across the world, from the Victorian period and beyond. 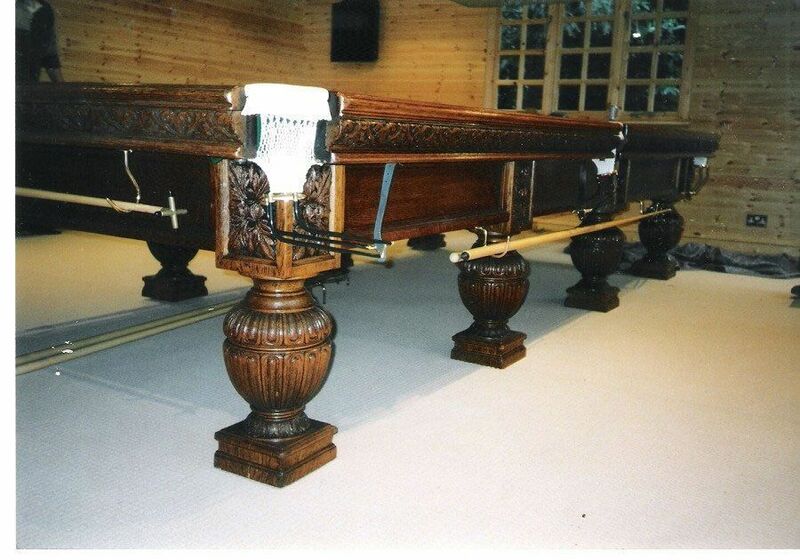 This tradition is maintained by Michael Hudson, with over 35 years experience, and who has been making tables in the traditional methods, since he was 15. 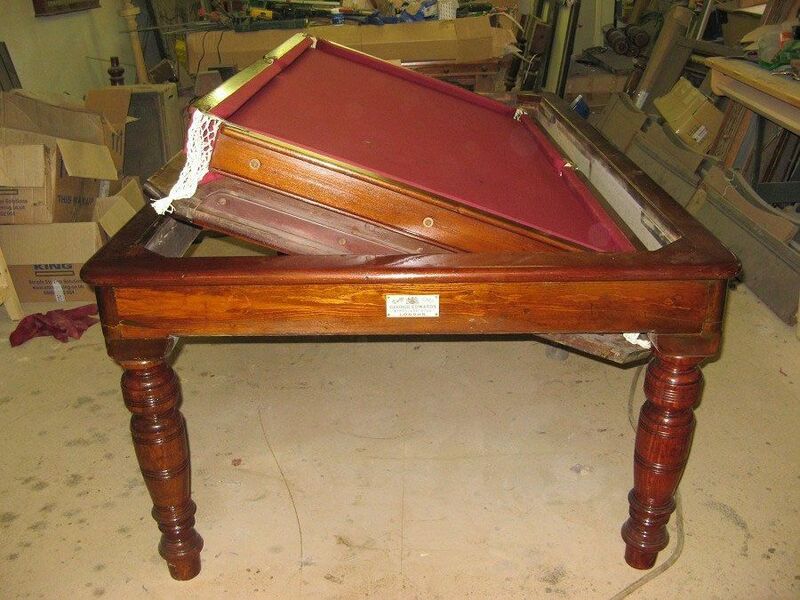 His knowledge is second to none, not just on table manufacture, but the history of the industry, and the development of tables over time. 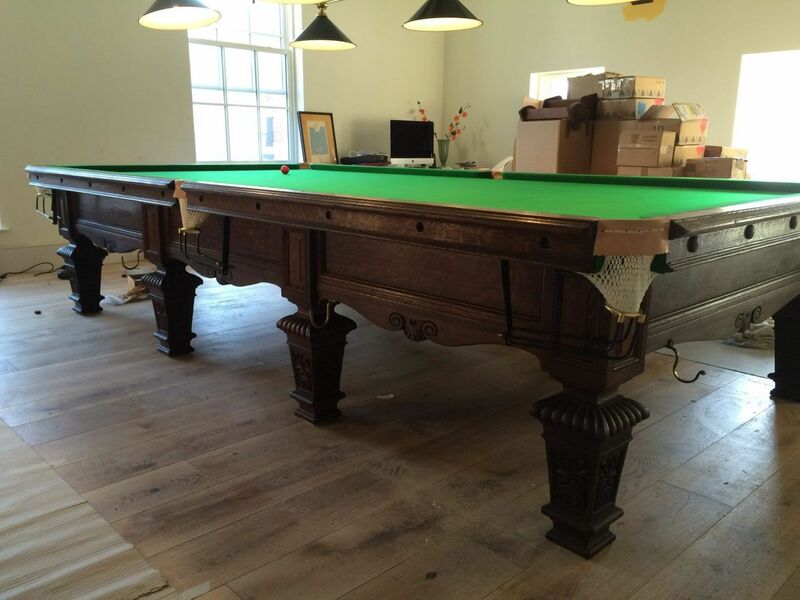 The tables made today, are manufactured, using the same process, as in Victorian days. 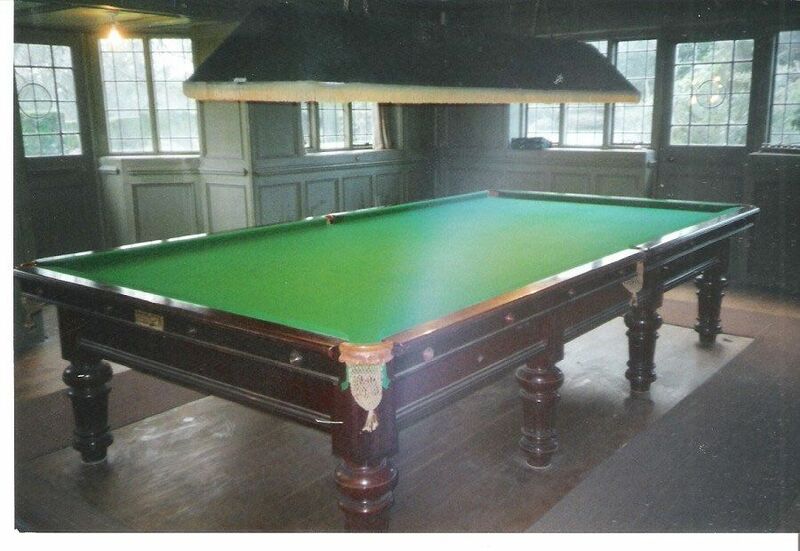 John Bennett Billiards Ltd are probably the last company in the South of the UK, that can do any aspect of work, from a simple recover, to a complete refurbishment of your table. 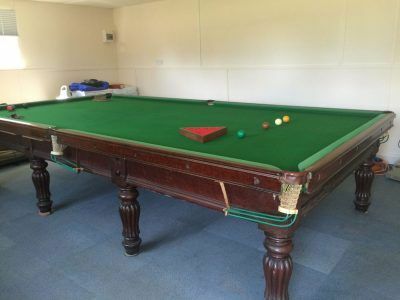 All our prices include delivery and ground floor installation, within 50 miles of Maidstone. 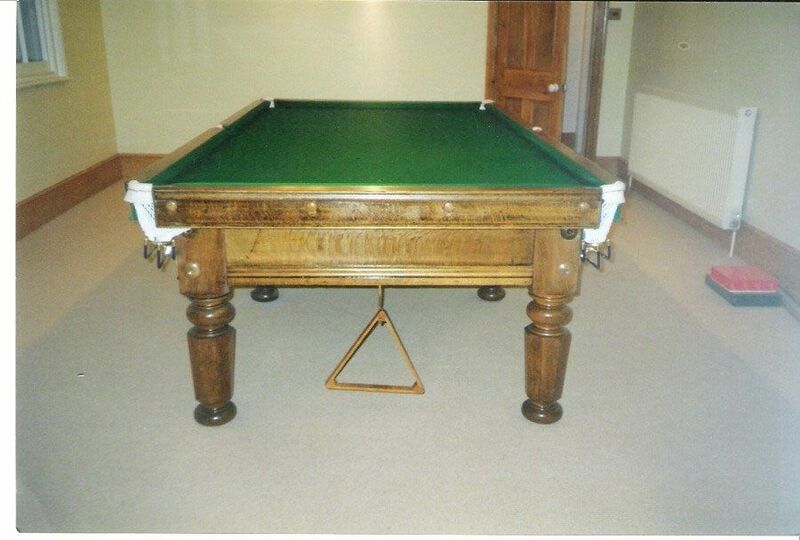 The tables come complete with a full range of accessories which include 4 cues, long rests, cross rest, spider rest, wall mounted cue rack, dustcover,table brush, snooker balls, triangle and chalk. Effectively everything you need to get started. 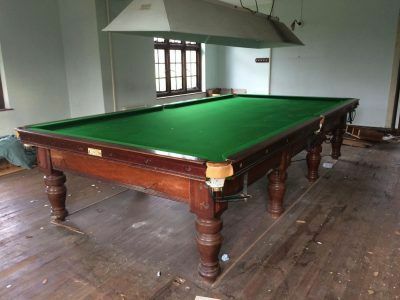 We are experts when it comes to Snooker Tables, with our years of experience, we can assist you to find or restore your perfect snooker Table. 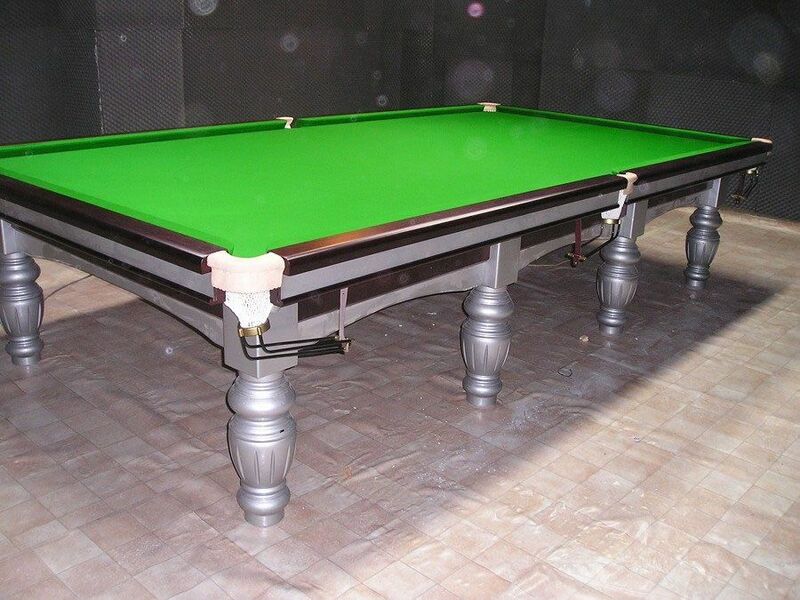 We have a wide range of options, from Custom / Bespoke Snooker tables, Undersized Snooker tables, Antique Snooker tables. 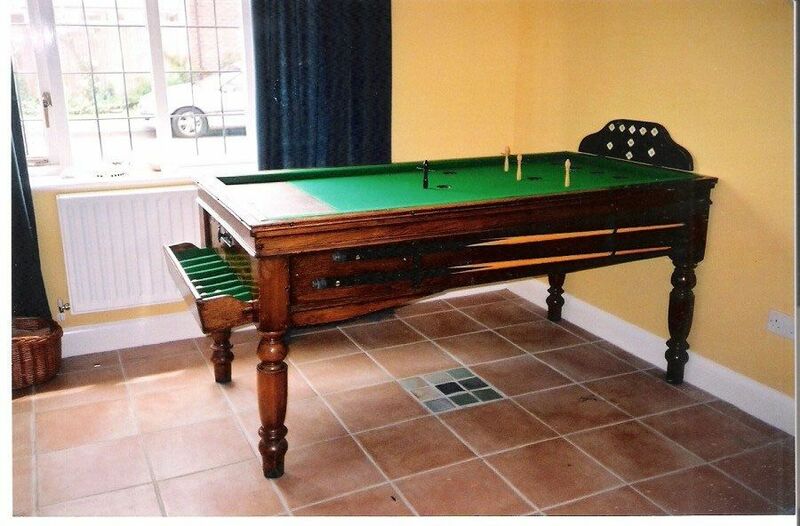 We also offer a complete refurbishment service, whereby we collect and return the table to yourself, and re-erect it, leaving it ready for play. 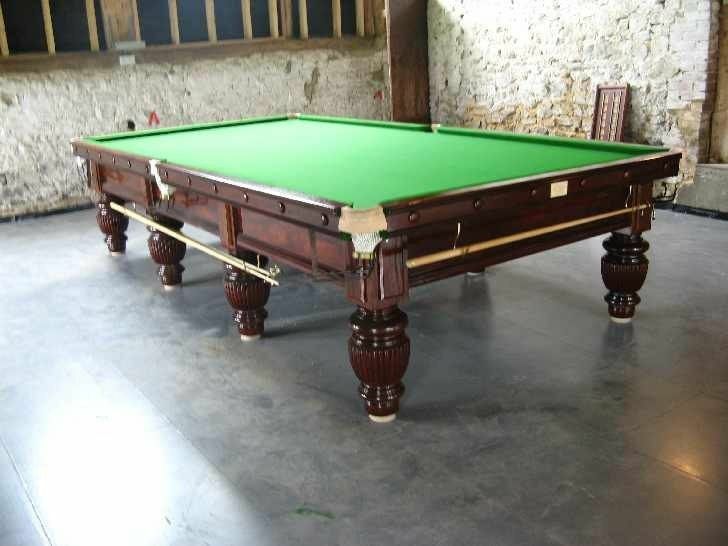 Getting the right table for you is important to us, that is why we encourage you to call us (01622 815623) or email us (info@johnbennettbilliards.co.uk) to talk about the possibilities of a custom table, as we have a lot of items which are not listed on this website and special offers available. 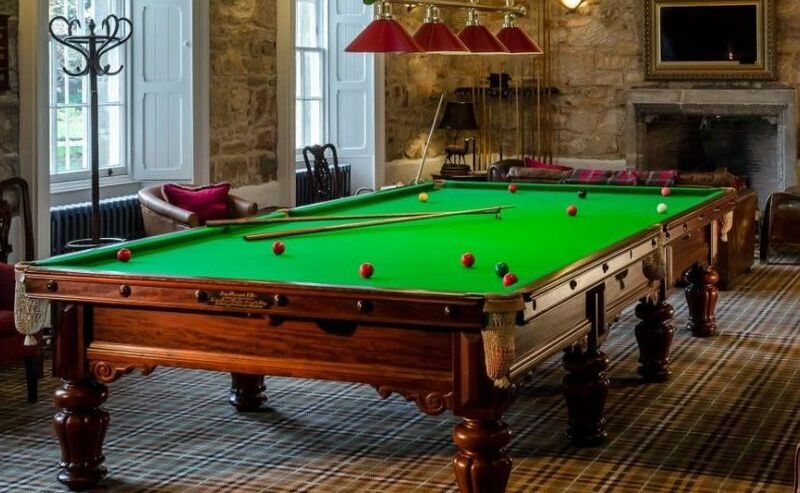 When it comes to creating a recreational space in your home you’re going to want to have the right games to keep friends and family entertained. 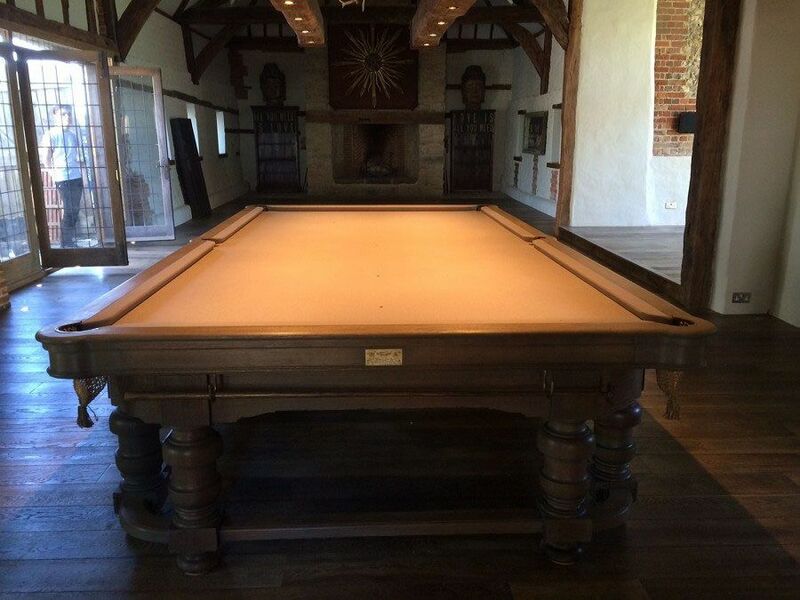 As one of the most popular games in the world, a custom-made snooker table will surely be an impressive feature. 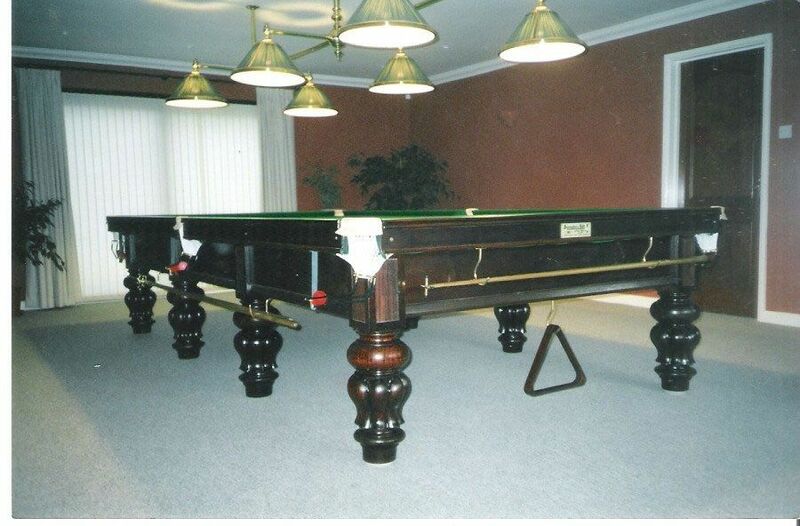 At John Bennett Billiards we not only create stunning snooker tables that will fit perfectly into any home, but we also offer antique refinishing services for your existing game tables. 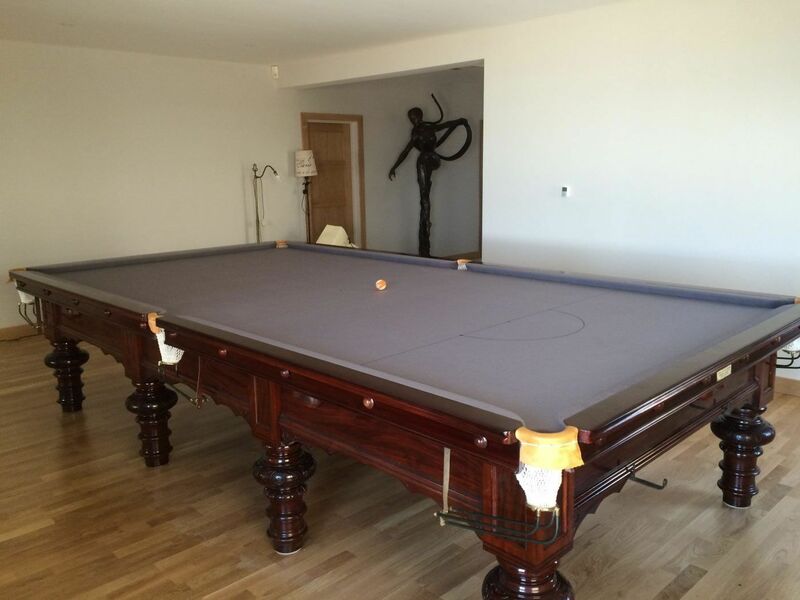 It’s easy to wonder why custom snooker tables are so popular in homes around the world and the answer is simple – great fun and luxurious furniture at an agreeable price. There’s nothing worse than deciding it’s time to furniture for your home only to find that it won’t fit in a specific area due to being too big or too small. 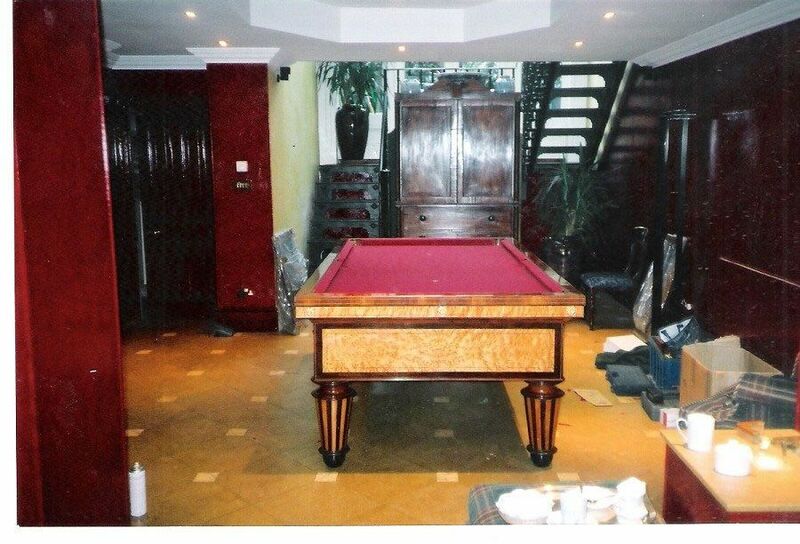 When it comes to a custom-made snooker table, our team makes every piece based on your specifications. 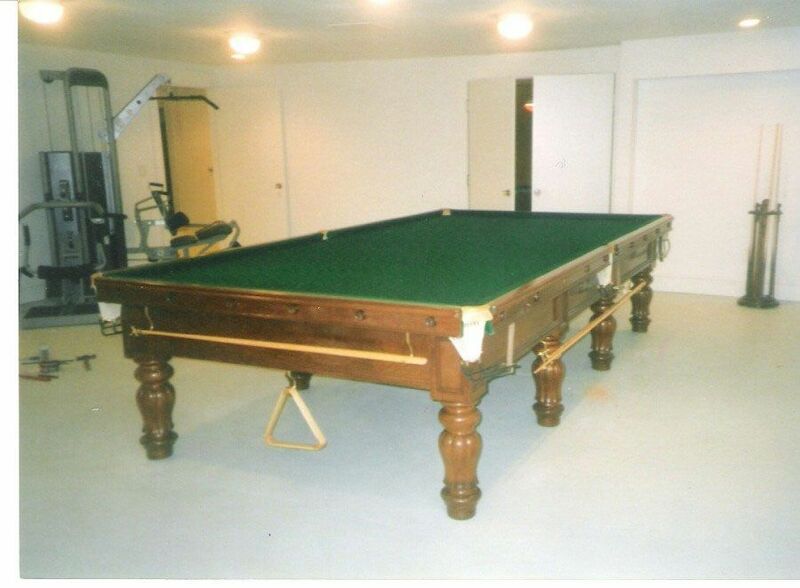 All you have to do is advise us on the size you’re interested in and our team will construct a table based on the dimensions. 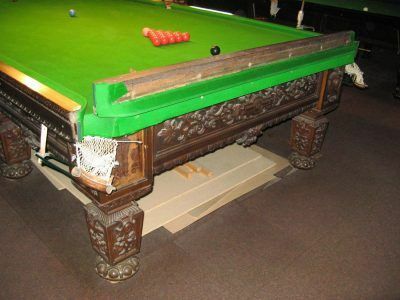 You can easily find a snooker table from a store in your immediate area, but there’s a high change it will look generic and mass produced. 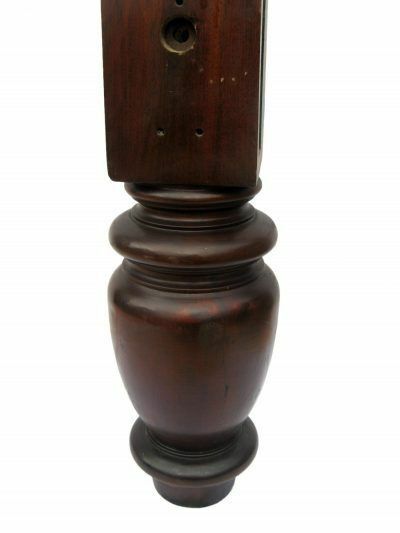 This takes away from the overall appeal of your home and it certainly isn’t as beautiful as a custom antique piece. 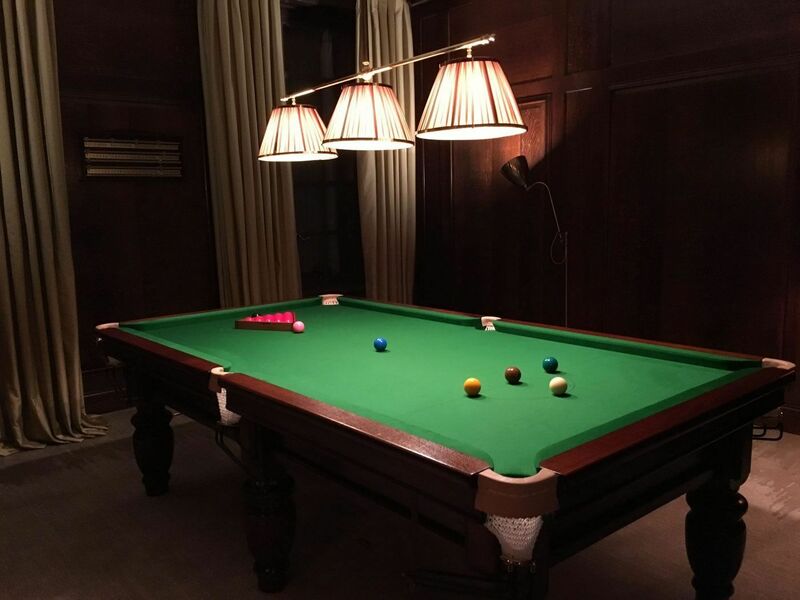 Your snooker table has the ability to be much more than a regular game table, in fact, it can completely transform the interior aesthetic of any room in your house. 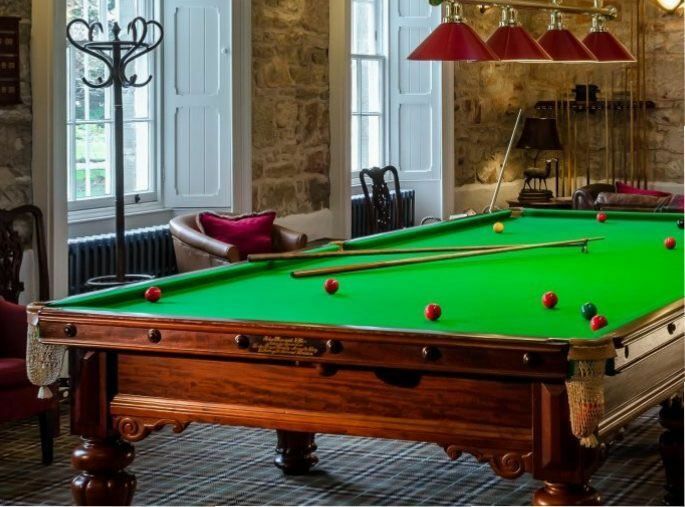 There’s nothing more sophisticated than custom-made furniture or revitalised antique pieces. 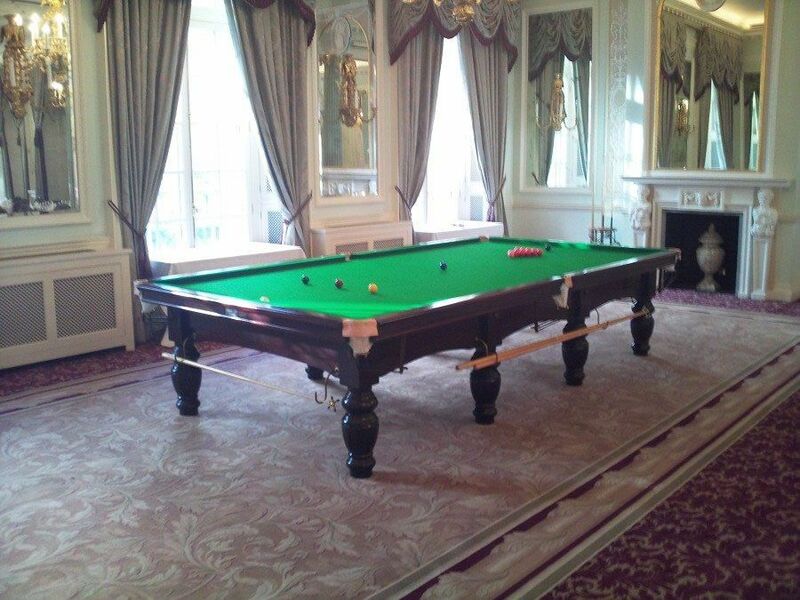 When you opt for a custom snooker table you’re able to design the unit from scratch. 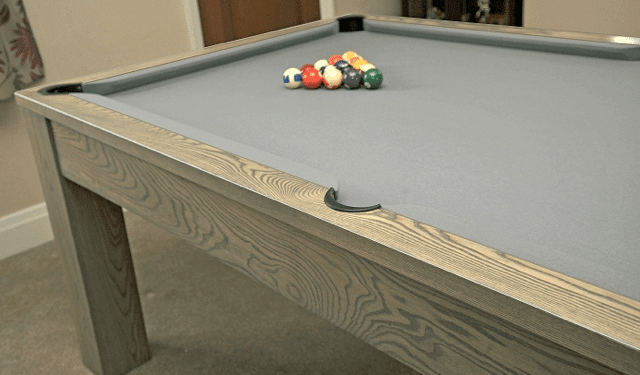 You can choose from various intricate wood detailing, the stain of the wood, the type of pockets on the table, and even the colour of felt. 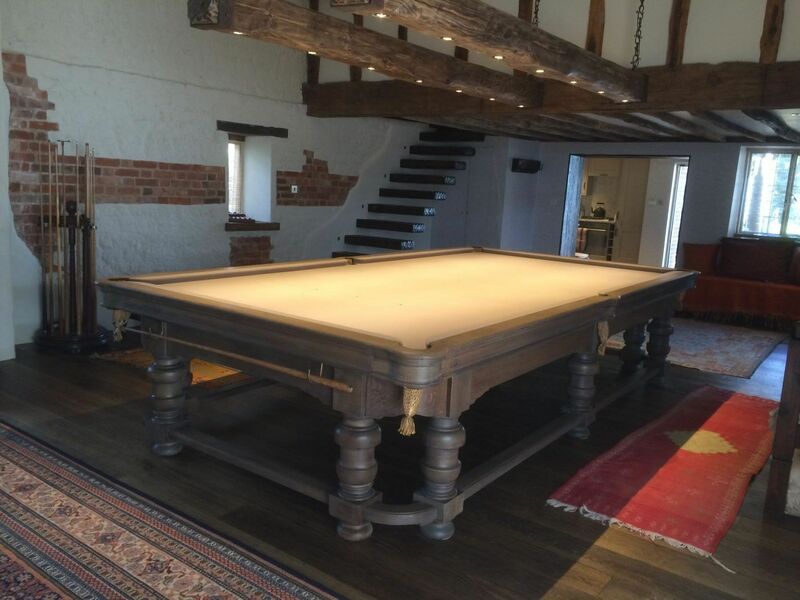 We make the process easy, as all you have to do is tell us what your vision is and we’ll use our artisan craftsmanship to build the perfect snooker table for your home. 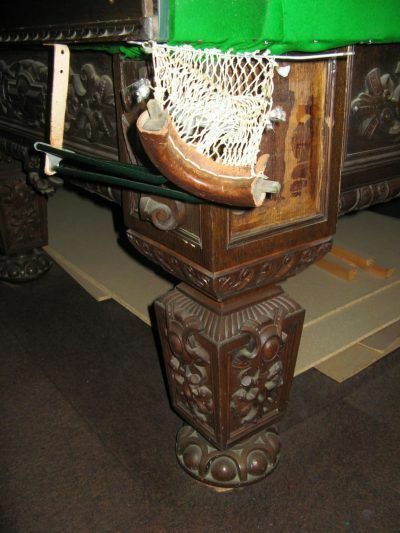 It can be difficult to let go of antiques you have in your home, even if your family never uses them. 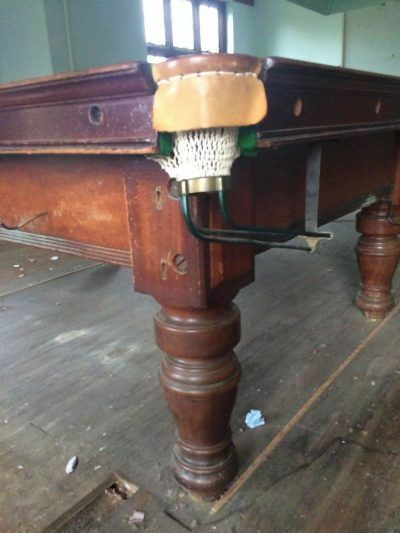 They may be heirlooms or an original fixture that came with the house when you first bought it. 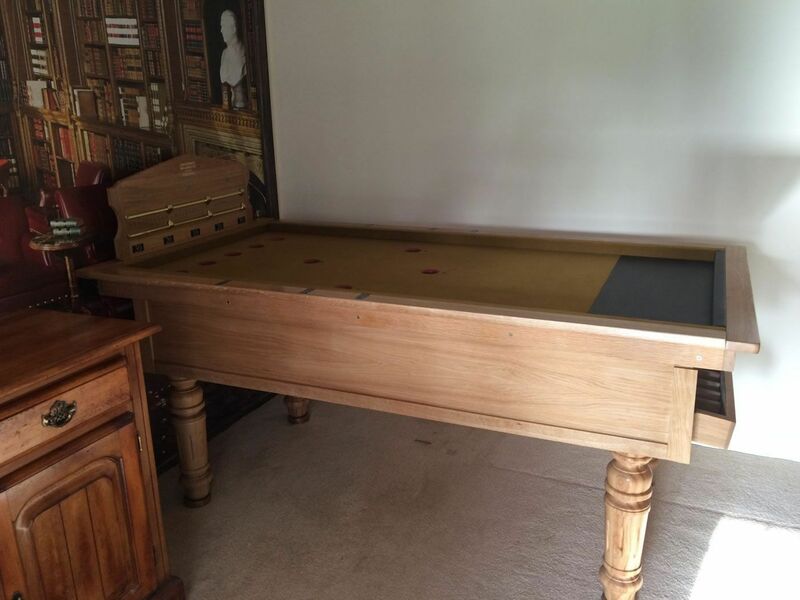 It doesn’t mean it should just be a piece of furniture you have stored in your attic or basement. 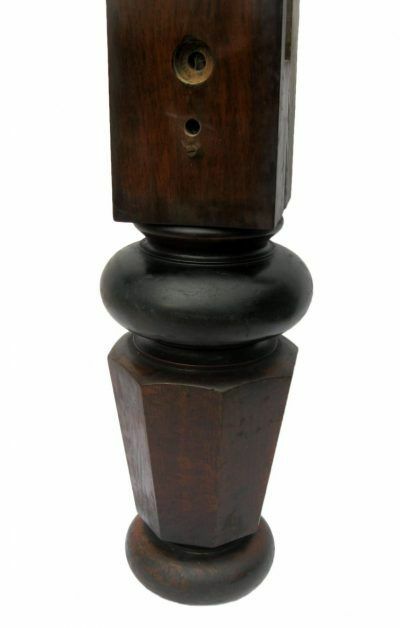 Why not take the chance to transform its appearance and turn it into a show stopping focal point of any room? 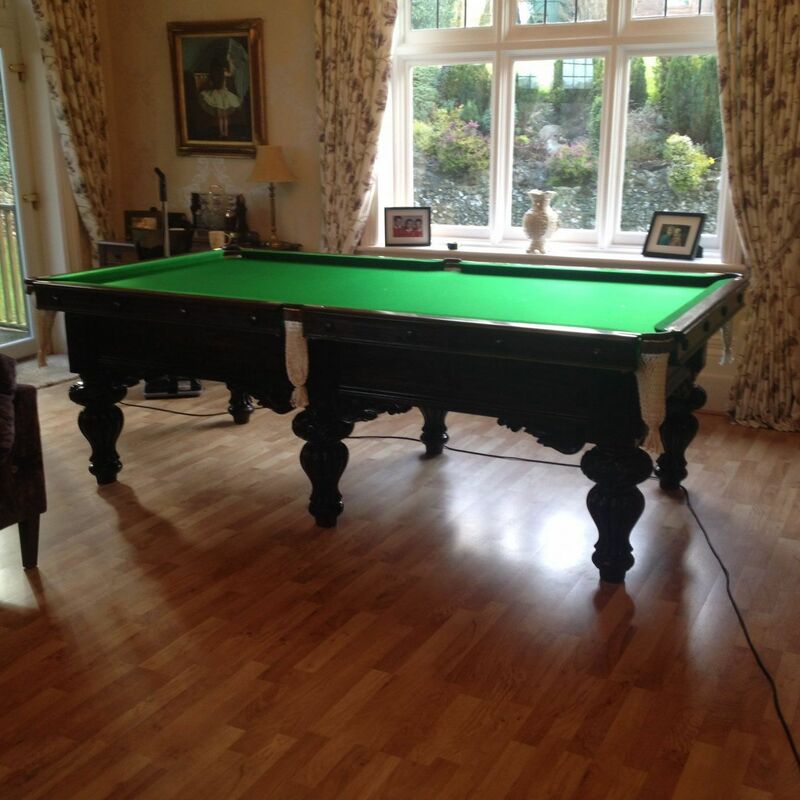 We understand the importance of keeping antiques in the family, and to make sure that your snooker table looks its best over the years we offer special restorative services. 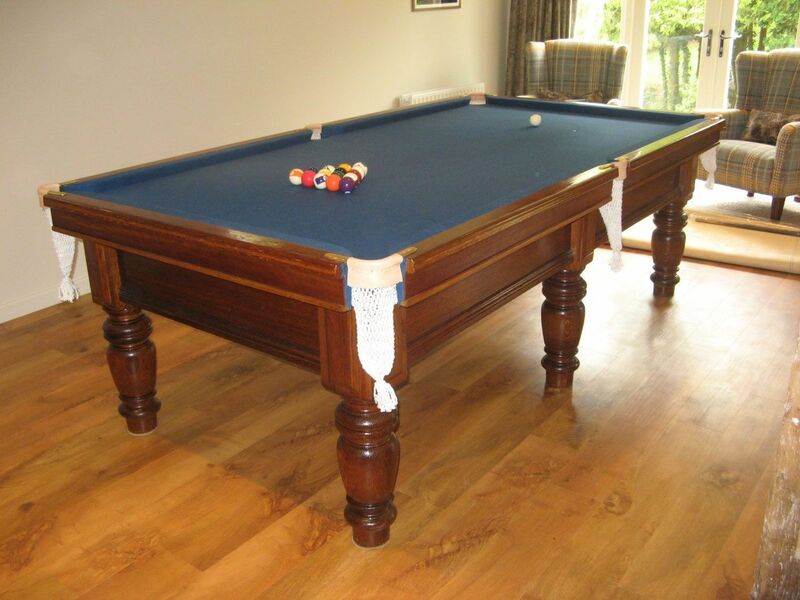 If you’re looking for a way to bring out the original classic and timeless appeal of your snooker table, allow our team to appraise it so we can transform its design to suit your every need. It will surely become the most beautiful aspect of your home you’ll be proud of. 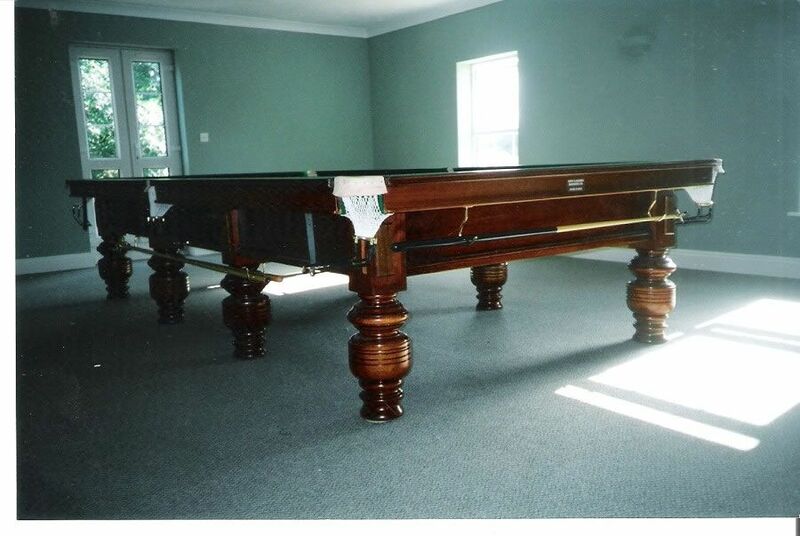 Here are just a few examples of of some of the tables that we have refurbished and built. We have many others available, in the online shop below.